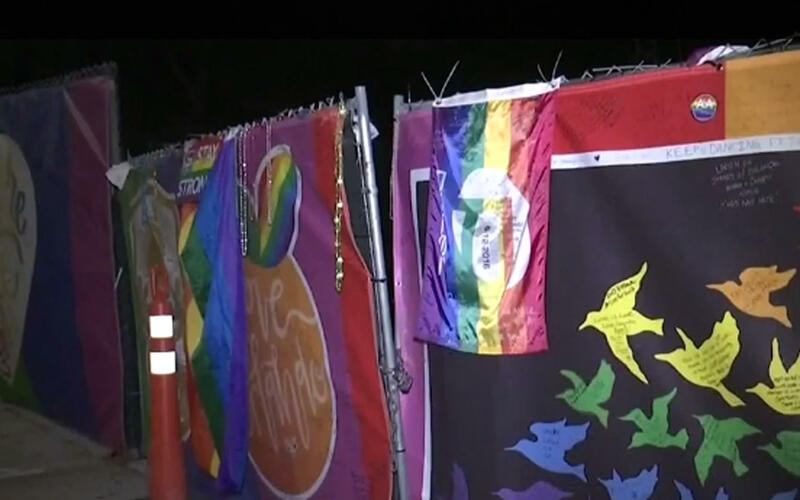 ORLANDO, Fla. -- The fence around Pulse opened early Monday for an intimate ceremony marking six months since the mass shooting that left 49 dead and 53 injured at the Orlando nightclub, reports CBS Orlando affiliate WKMG-TV. Survivors, staff and family members of victims killed during the massacre held a moment of silence at 2:02 a.m., the exact time gunman Omar Mateen started shooting inside the gay club. A more public event is scheduled Monday evening at the Orange County History Center. Following that event, there will be another ceremony at Pulse, with a performance by the Orlando Gay Chorus. The names of each of the 49 patrons killed will be read. Laura Dewey visited Pulse Sunday for the first time since the tragedy. She said Pulse was a club she’d attended for years with friends. Melissa King, of Edgewater, Florida, stopped by Pulse Sunday, wearing a bracelet she said was given to her by the mother of Pulse victim Amanda Alvear, whose birthday also happens to be the six-month anniversary of the attack. “You see one man’s hate and you think that when you come here, that’s what it is about, and it’s not. It’s about going and looking at the wall and seeing all the love from all over the world,” King said. A Christmas tree also stands outside the club as a symbol of how much time has passed since the June attack. Pulse owner Barbara Poma announced Friday she plans to reopen the club in another location, but hasn’t said where or when that will be.